I read this article and found it very interesting, thought it might be something for you. 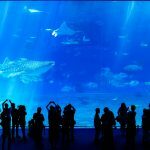 The article is called 7 Reasons to Go Okinawa Churaumi Aquarium and is located at http://trip-n-travel.com/listicle/10577/. 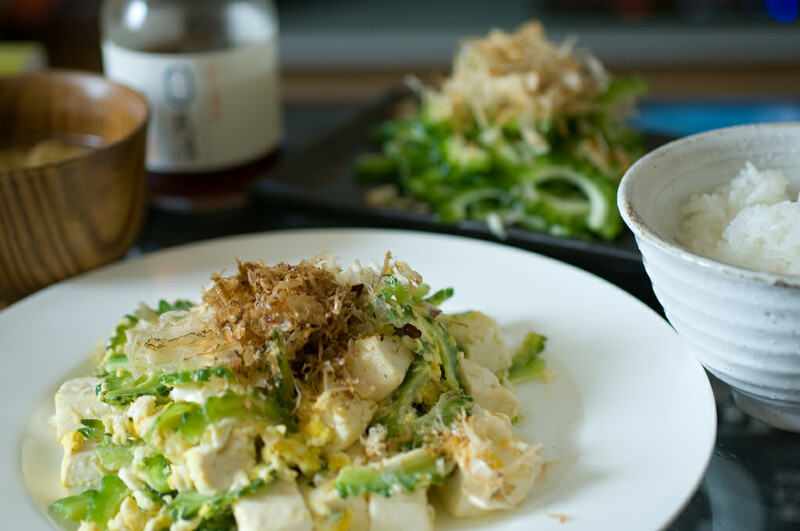 “Chura” means “beautiful” in the Okinawan dialect. And the Churaumi Aquarium is just that, the best and most beautiful aquarium in Japan. This marvelous attraction is set in Ocean Expo Park and it has recently been completely renewed. Ocean Expo Park is the place where you can enjoy Okinawa’s nature, culture and history and Churaumi Aquarium is its most popular part. 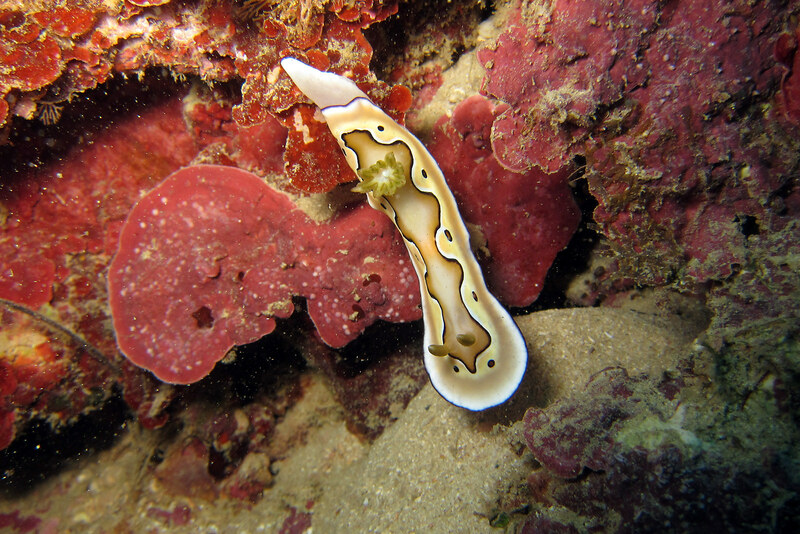 It takes you through the amazing marine life in Okinawa. 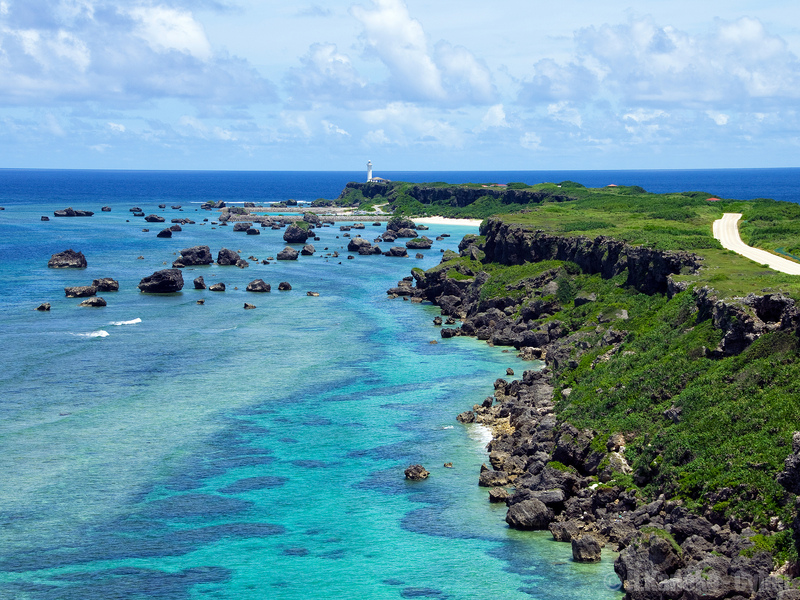 Marine life in the seas around Okinawa is extremely rich because of the three important factors: the warm Kuroshio Current, wonderful coral reefs and deep sea areas on both sides of the Ryukyu Island where you can find some of the rarest sea creatures. At Churaumi Aquarium in Okinawa, they have done their best to reconstruct these waters with the natural beauty. Very close attention has been given to the light, the water quality as well as its clearness. 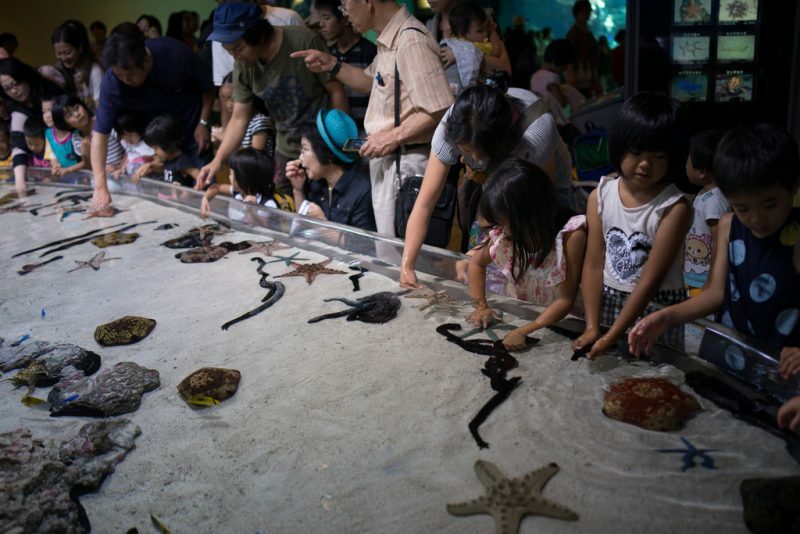 The exhibits are designed in such an order to let you start from the “beach” and then slowly travel into the “deep sea”. 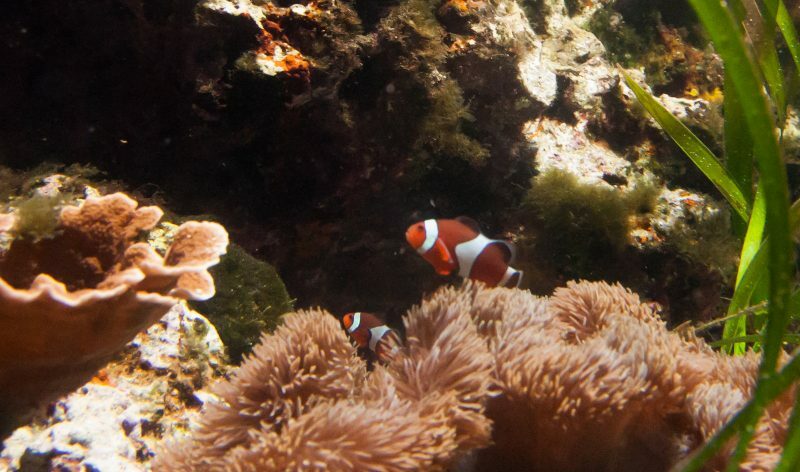 Walking along this fantastic aquarium will make you feel as if you are diving. The Churaumi Aquarium has 77 tanks on display. 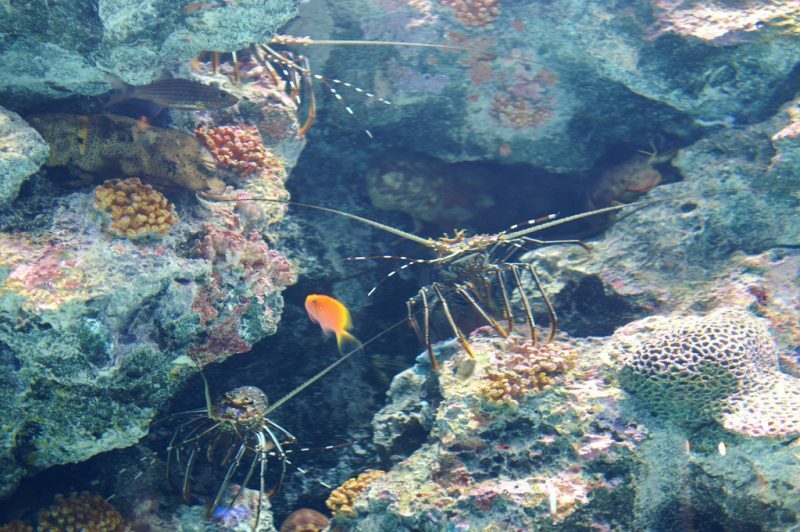 You can see a great number of amazing and rare life forms from the sea and mysterious sea bed. Some of the species you can see there are extremely difficult to keep in captivity. You will have a chance to enjoy the ruby snapper, luminous shrimp or black sail snake mackerel and many other small and large life forms. Various panels and images offer explanations about the diversity of marine life and the environment down under the deep sea. 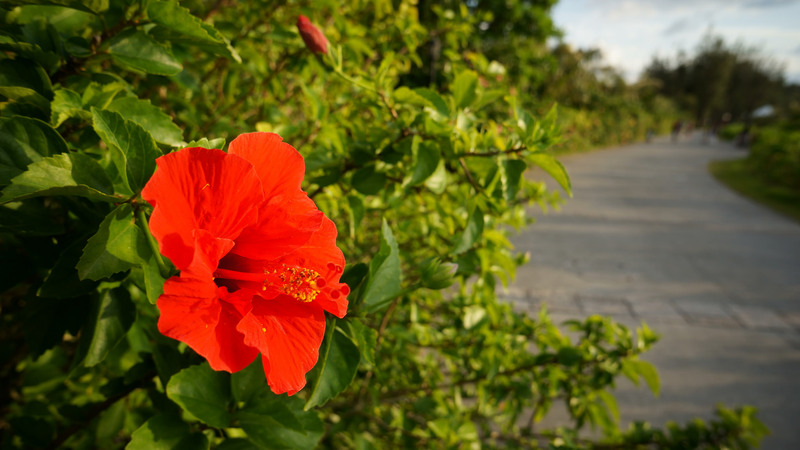 While there, you can also visit some other wonderful attractions, such as the Oceanic Culture Museum, Emerald Beach and the Tropical Dream Center. This is the main tank in the aquarium with a massive capacity and it stretches across the three floors. It is 8.2 meters high and 22.5 meters wide, and its acrylic panel is 60 centimeters thick. There is an observation space at the side of the tank that makes you feel as if standing at the sea bottom while watching the beautiful creatures swimming. You can enjoy various, big and small, species in this tank. 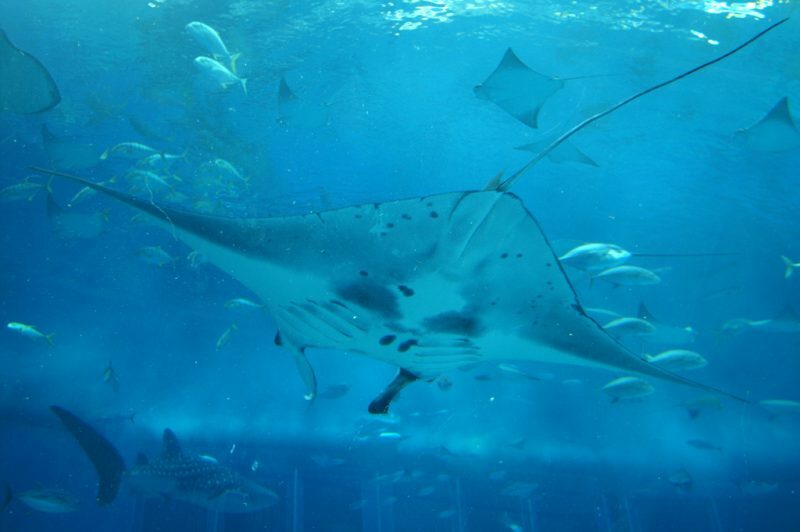 Schools of huge whale sharks and amazing manta rays are probably the most exciting sight there. Feeding shows are held twice every day and you will definitely want to spend most of your time right here. When you enter the Churaumi Aquarium, and the entrance is at the fourth floor, you first come to the Life in Inoh exhibit. Inoh means “coral reef lagoon” and this is actually a shallow touch pool where you can see and touch various sea creatures including real sea cucumbers, seashells and starfish in the environment of a real coral reef. If you have any questions the friendly staff members are always there to help you and you don’t have to worry about the safety of creatures; they do their best to keep them safe. Near the pool, there is a hand washing station to go after you touch these amazing creatures. Right next to the Life in Inoh, there is the Coral Sea Tank open to the sky. It is the world’s largest display of live coral and it was made possible by providing natural sunlight and fresh water from the ocean; the open system is introduced so that the sea water from the ocean enters the tanks and then once again is returned back to the ocean. There are almost 800 coral colonies with more than 70 various species growing there in almost natural environment. You can also visit a special room with exhibits showing different stages of coral growth. In this wonderful aquarium, there are also many more tanks displaying most of the tropical fish, not only local but many others. At the ground floor of the main building there are marvelous deep sea exhibits. Outside the building you can visit several different tanks and enclosures. This is where you can enjoy the Sea Turtle Pool with five different turtle species, as well as the Manatee Pool. 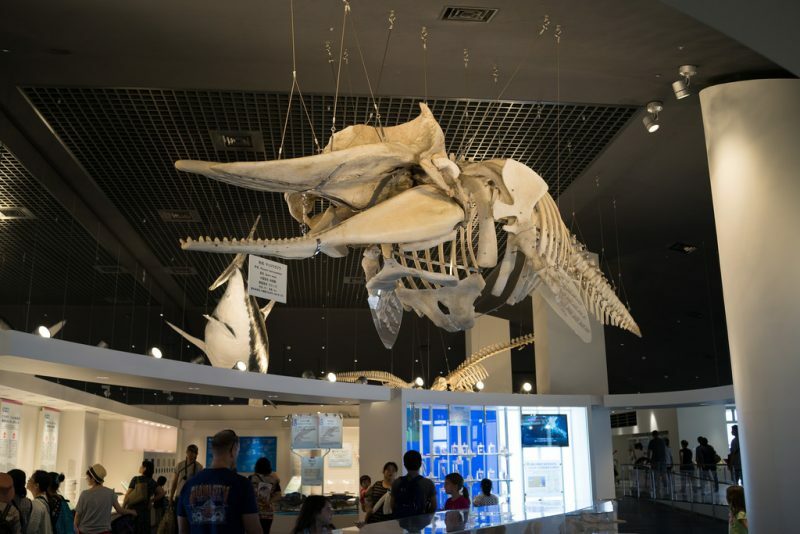 There is also the Whales Museum where you can see full whale skeletons. There are different shows at these tanks and places throughout the day and you will enjoy every moment. This is the place your children will probably like most. They will love to see these marvelous smart creatures so close to them. There is a twenty-minute, free live show with the dolphins at the Okichan Theater and white-sided dolphins, bottlenose dolphins and false killer whales are the stars on this unusual stage. As you watch the show, you can also listen to some information about the ecology and different amazing abilities of the dolphins. The whole family will definitely enjoy the leaping and the sounds of these most beautiful mammals with the great blue sea at the background! Opening Hours: March – September: 8:30 a.m. – 8:00 p.m. October – February: 8:30 a.m. – 6:30 p.m.
You are certain to have a great fun when you come to this attractive place. Various programs and events will keep you entertained and make you come back. And when you do, some new discoveries and encounters will wait for you!